lovely quilt!! The back is gorgeous!! First, let me just say I am not much of a pastel person. 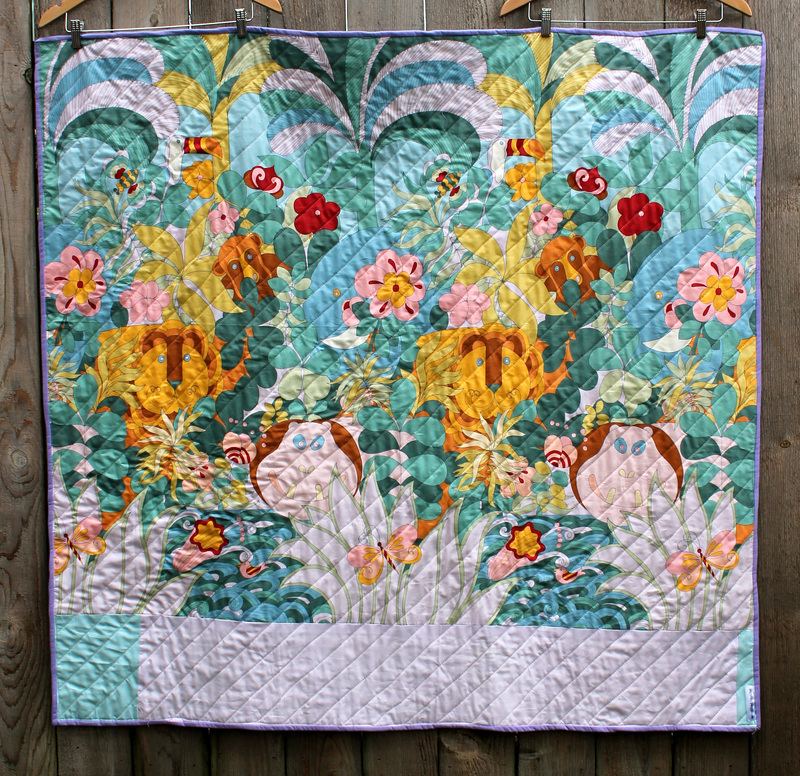 But this quilt is gorgeous! I totally want to go make one of my own now! 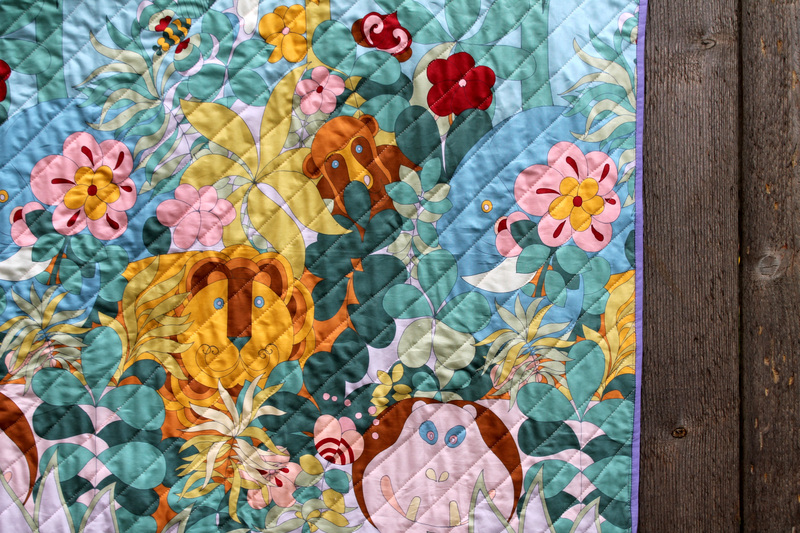 Love the layout, and the quilting looks awesome, and that back is going to make some very lucky child delighted! Renee I am with you on the pastels but I am trying to mix it up a little. 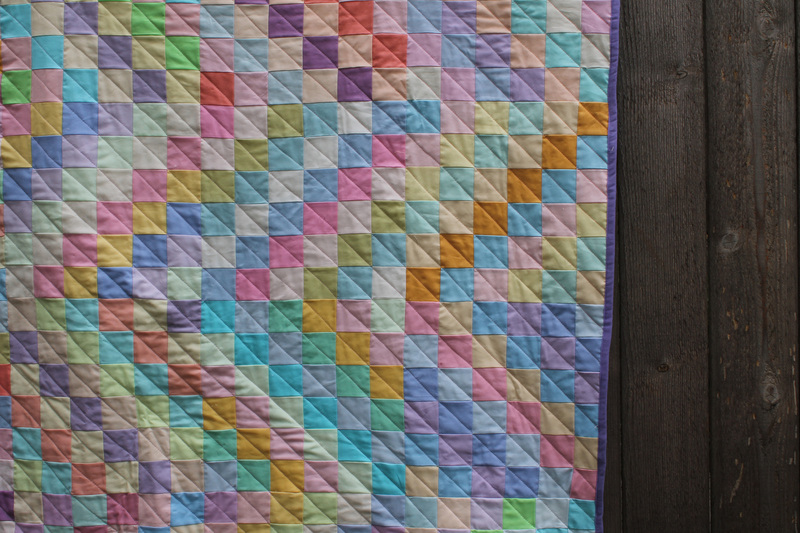 I struggle when working with non brights, ahh but the back of the quilt makes up for everything. Oh, the wave is fabulous! And the all solids really works with this design. Love that you kept it up with the binding. That backing is perfect…. Really jazzes things up! Ditto to everyone with emphasis on liking the wave layout and the backing. Ok. 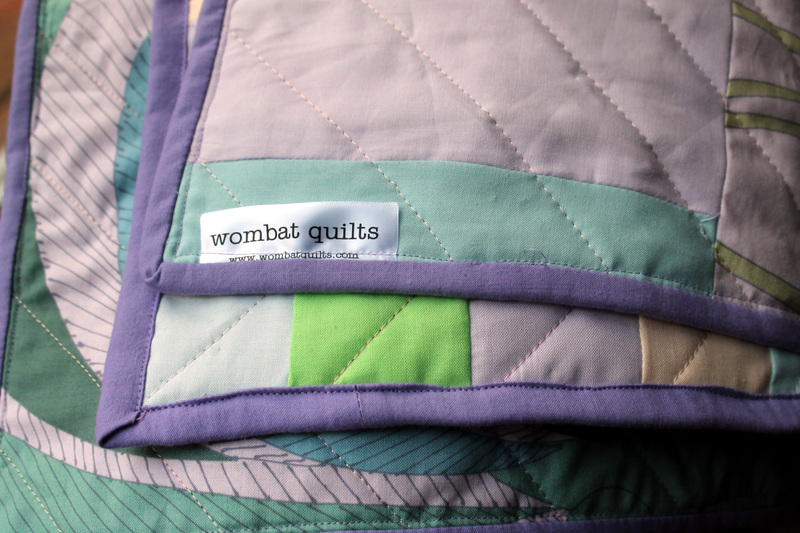 So I thought I loved this quilt. And I knew right away what was different with the solids. Loyal fan that I am. BUT then you showed the back. Stop it!!! Amazing!!! That print with the front is fabulous. You are amazing, cath!!! The wave layout is amazing. I didn’t notice at first that it’s all solids, but it really works here. 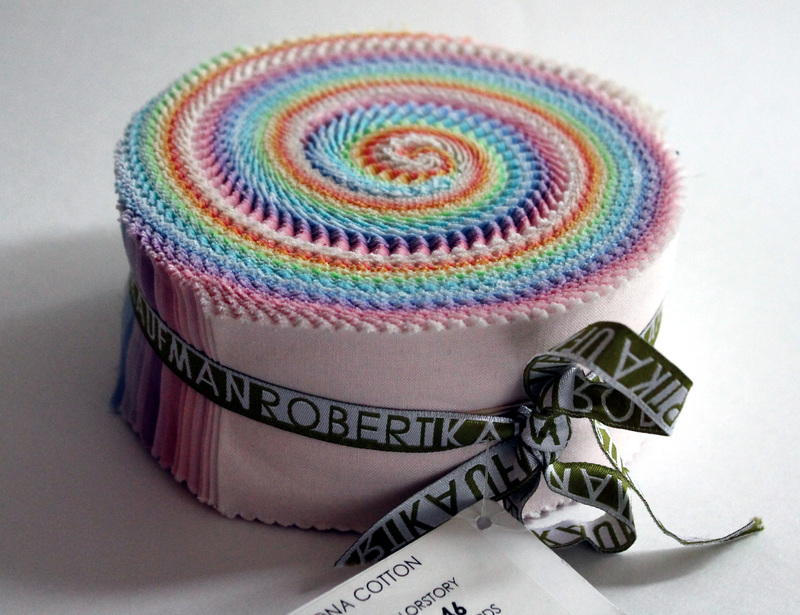 Jelly rolls work out wonderfully for this design, don’t they? 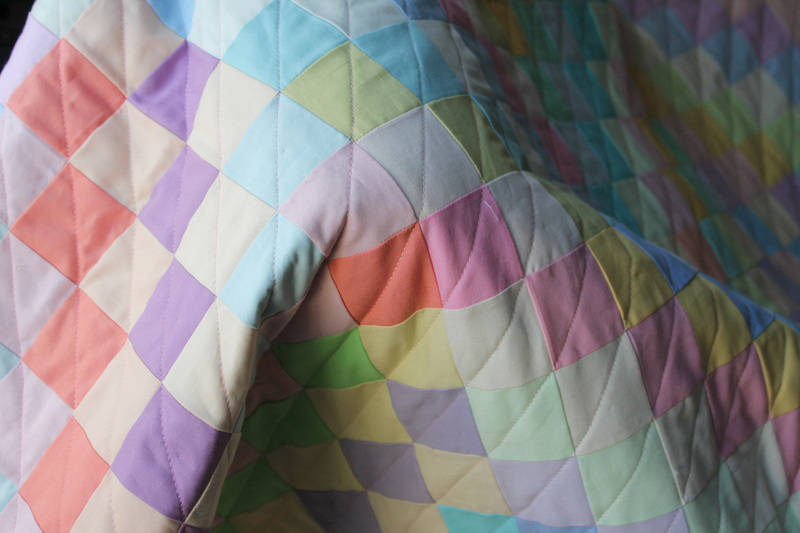 I have only just realised how easy it is too make these quilts with a jelly roll. Pre cuts can be very very handy. 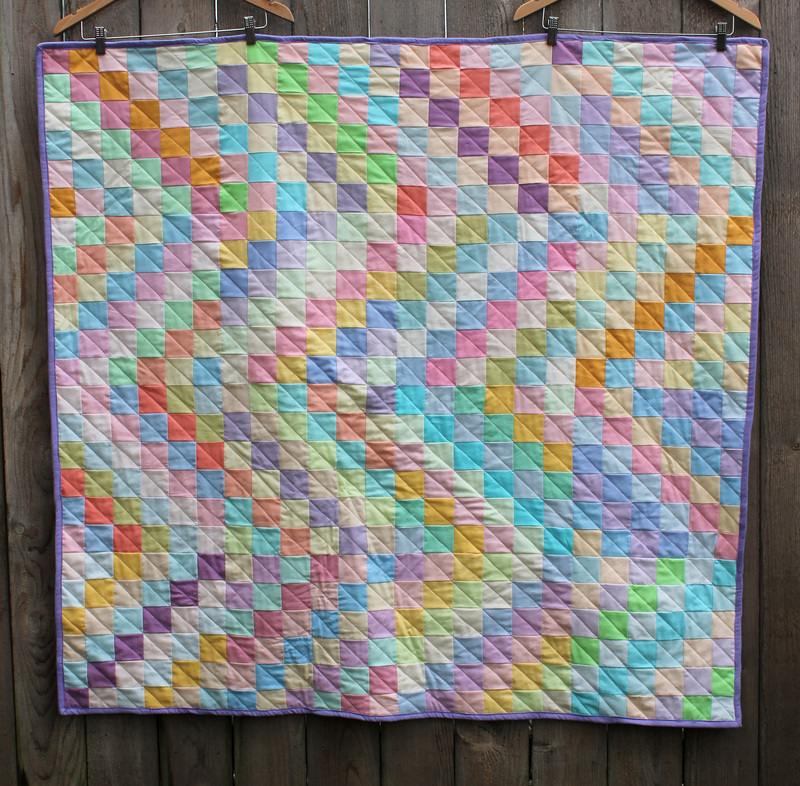 This quilt looks fantastic! I think the diagonal quilting suits it well. That is a mighty task to finish one quilt a week but it is for an amazing cause. I love how you placed the scrappy trip block and the backing is fabulous. love the solids Cath! and I like the zigzag layout of the scrappy trip blocks! Such pretty colours. A lovely quilt! I like the way you changed up these blocks to create a zig zag pattern. Wow that’s a big goal and you are off to a flying start. I love your scrappy trip from a jelly roll. Backing fabric is just gorgeous! Omigah, Cath — as if the front weren’t beautiful enough, THAT PRINT ON THE BACK?! …I want. It reminds me of the illustrations in a book ours parents read to us back in the day about a little mouse that saved a lion… so so lovely! Beautiful! I just started a quilt like this. Best of luck on your big goal. Thanks Rachel. I think I may need luck… It is a crazy goal to set myself but worth it if I can pull it off.